Dr. Katerina Gallus discusses vaginal rejuvenation using the latest Carbon Dioxide laser technology. Hi. I’m Dr. Katerina Gallus with Restore SD Plastic Surgery, and today I’d like to talk to you about vaginal rejuvenation. This popular procedure has the goals of improving vaginal lubrication and tightening the vaginal tissue. It also decreases the symptoms of stress urinary incontinence. The treatment is straightforward and painless and consists of fractionated CO2 laser. The treatment is every month for three months. You can go back to your daily activities right after treatment and aside from vaginal rest for three days, the recovery is very straightforward. 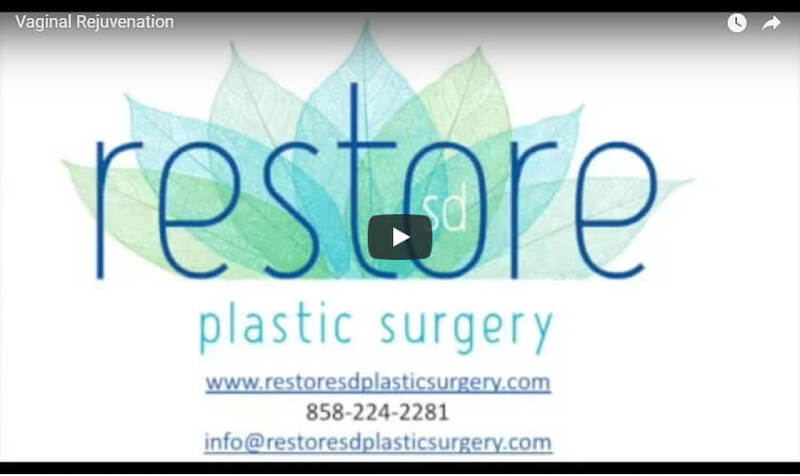 Please come see me at Restore SD Plastic Surgery where we offer this cutting-edge technology. We look forward to seeing you.